-Creativity and innovation are hallmarks and the heritage of the American experience. But lately, many organizations have lost their way. New ideas seem to represent more of a risk than an investment. As a result, creativity is often mismanaged or is perceived as a threat to guaranteed ROI, results and the soft comfort of status-quo. It’s an unfortunate turn of events that is addressed and corrected in the book, Navigating the Creative Process: 6 Steps to Creative Success. -The book outlines the need for an in-depth understanding of the factors affecting contemporary creative development on a commercial level. -The need for a new approach to creative-team formation, and an ideation approach that is designed to create new and innovative ideas rather than preserve status-quo. -The value of a disciplined approach to creative comments and requests for timely and often necessary revision. -The critical step that approves and mandates an idea for continued investment, development and execution. -The best approach for managing creative people. 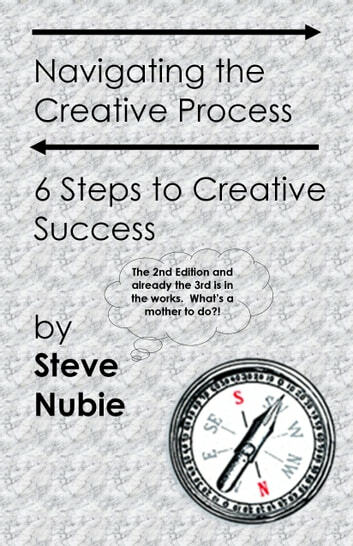 Steve Nubie has been actively managing the creative process for more than 35 years from the Advertising and Marketing industry as copywriter to Chief Creative Officer; to the Dow 30 as Chief Creative Officer at McDonald’s for a decade during the 90’s; to published author and produced scriptwriter across magazines, TV and Radio shows. Across the spectrum creativity is valued, misunderstood, and too often diluted by consensus. -The book uses the Advertising and Marketing industry as a benchmark for an effective creative process. Not because they do it right all the time, but because it is the acid-test given short time-frames, inexperienced people on both sides of the process, and the huge budgets they are required to manage. 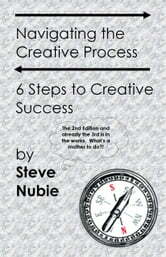 -Focus on the 6 steps that define the creative process and deliver action steps to enable and manage the entire process. -Demystify the myths and misconceptions that surround creative people and their workstyle. -Suggest specific tools and techniques at each stage of the process to make the subjective nature of creativity and innovation efficient and objective. -Provide a new approach to team formation that is designed to find and empower solutions. -Focus on both sides of the creative equation: the people creating the ideas and the people reviewing and approving ideas. Many of the top people in the creative industry have been interviewed to offer their insights, frustrations and guidance. These individuals were specifically recruited to add texture to the subject. They include Bob Scarpelli/Chairman and Chief Creative Officer of DDB Worldwide, Luis Miguel Messianu/President and Chief Creative Officer of ALMA, Allen Klein/retired Executive Creative Director at Leo Burnett, and others across creative fields who offer texture and insight on the subjects explored in the book. It is embellished with anecdotes from the creative front that many readers will painfully relate to, or maybe appreciate for the first time. Creative tests for assessment of creative ability and team formation are included that can help a manager easily form the best team for a given task or problem. In addition, work sheets for developing creative briefs and techniques for producing ideas are included to allow the reader to engage the creative process, and manage it immediately. Why Is Your Name Upside Down? How to Land a Top-Paying Advertising, Marketing, Promotions, Public Relations, and Sales Managers Job: Your Complete Guide to Opportunities, Resumes and Cover Letters, Interviews, Salaries, Promotions, What to Expect From Recruiters and More!